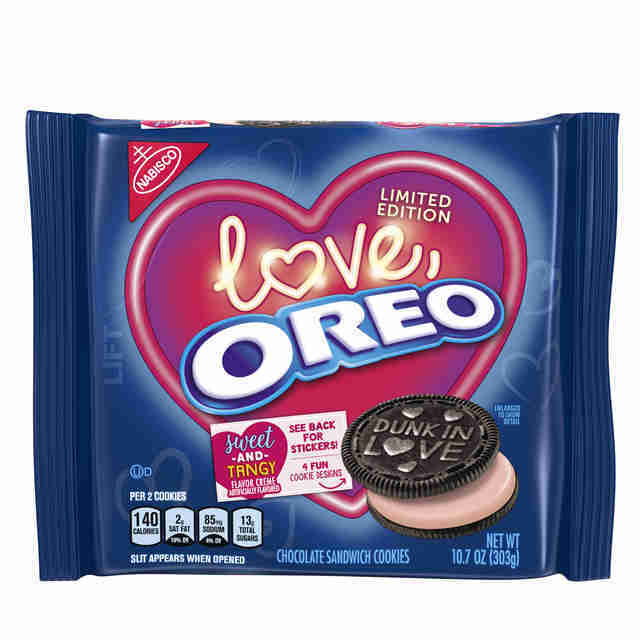 Anyway, it happened again the other day, with four new flavors hitting shelves: Carrot Cake Oreo, Dark Chocolate Oreo, Oreo Thin Bites (White Fudge Dipped), and, just in time for Valentine’s Day, the limited edition Love, Oreo. Here’s what we think of all four new Oreo flavors, and whether they’re worth the dough. These Oreo Thin Bites are dangerously addictive. It’s fairly easy to eat a few regular size Oreo cookies and act like an adult by putting away the box for another day. But how many of these mini Oreo should we be satisfied with? It says the serving size is eight mini cookies, which does seem reasonable. But after you eat one, eight Thins seems like a fun amuse bouche before you eat 30-40 more. There’s a heavy dosage of vanilla flavors up front followed by those familiar chocolate and vanilla creme notes. It’s all the best parts of Oreo shrunk down and hit with a decadent layer of vanilla. The serving size should realistically be One Entire Bag. I am constantly amazed by the seemingly endless limits of science, whether it’s CRISPR or self-driving cars. 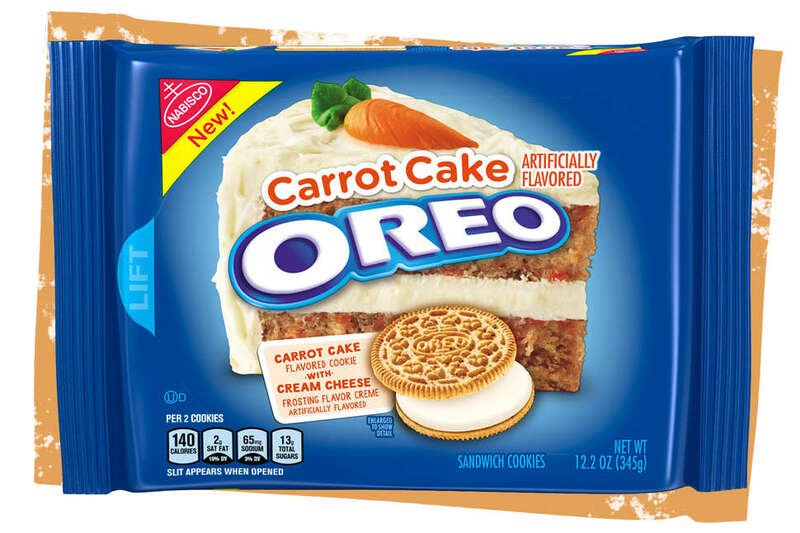 Add the Carrot Cake Oreo to that shortlist. 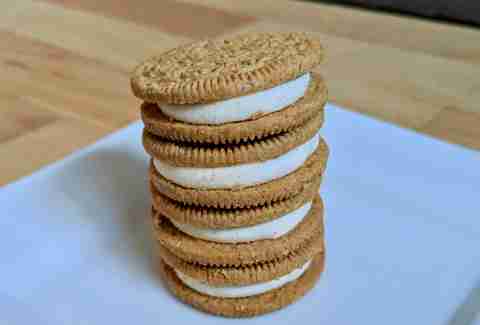 Those food scientists at Oreo have somehow managed to capture every single note of a carrot cake and put it inside one Oreo cookie. Each rounded marvel features two carrot cake cookies on the outside and cream cheese frosting inside. After a few bites, you brain will be confused as to why the carrot cake you’re eating is so crunchy. If you’ve ever had the Red Velvet Oreo, you know how close these cookies can taste like the real thing. This is no exception. Oops, I messed up. That last saying is not printed on an Oreo -- it’s the name of the newest album from the band Chvrches. This is not my favorite Oreo. I can’t put my finger on the flavor, but mostly it reminds of me of candy hearts. And I’m not sure chocolate and generic candy heart flavor is a combination I can endorse. But if you have a significant other who loves Oreo as much (or more!) than they love you, you could do a lot worse than giving them a box of these on V-Day. The worst thing would probably be to buy them that Love Is Dead album. I love dark chocolate. I love Oreo. I have no strong feelings about Dark Chocolate Oreo. My problem is this: at this point, good quality dark chocolate is so easily attainable that most people who are interested have tried 70% dark chocolate. 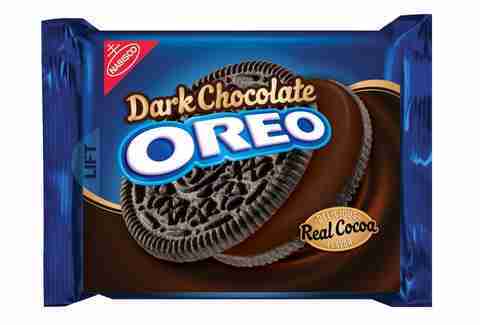 So if Oreo is gonna hop on the dark chocolate train, they gotta come strong with the dark chocolate notes. Alas, this tastes like two chocolate Oreo cookies with a generic chocolate creme in the middle, not the dark chocolate creme the company was hoping to deliver. 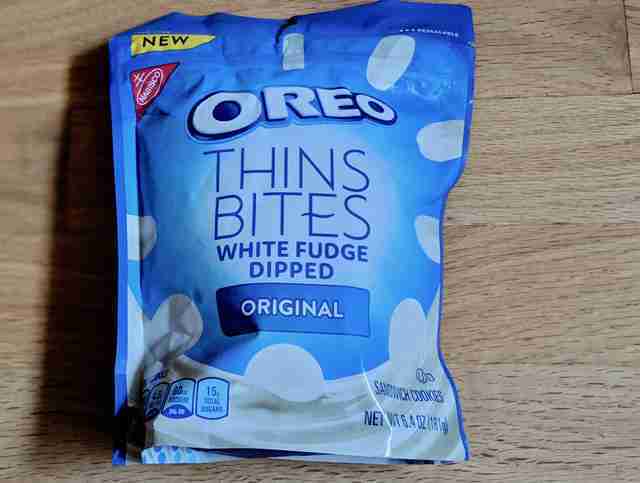 Instead of purchasing this, I’d recommend you find and devour a reasonable amount of Oreo Thin Bites.